...next up, we leave the Galilee region and head for Jerusalem. 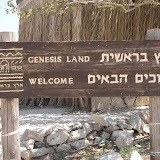 Somewhere in the Judean Desert between Jericho and Jerusalem, we visit Genesis Land aka Abraham's Tent. A hot and dry establishment, but the camel ride was fun, and lunch in the tent was kinda nice. 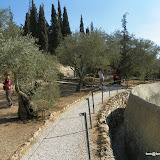 From there, we proceed to Jerusalem, and before going to our hotel, we visit the Garden of Gethsemane. A somewhat moving and sobering place. 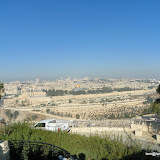 We get settled in, but early the next morning we visit the Mount of Olives...what a view of the old city !